Christmas means quite a lot to us. It's the one time that we get together as a family, share gifts and reminisce of the year that has passed us by. For the kids it's all about what Santa is bringing for them on that day. They have already made their list but we all know that Santa is also checking their list and making sure that they are "nice" enough to get what they asked for. There is nothing quite like opening up a gift from Santa. We've already got our cookies and milk for Santa that we plan on leaving at the fireplace for him. However this year there will be an even special surprise for Madison waiting in her stocking this year as well. 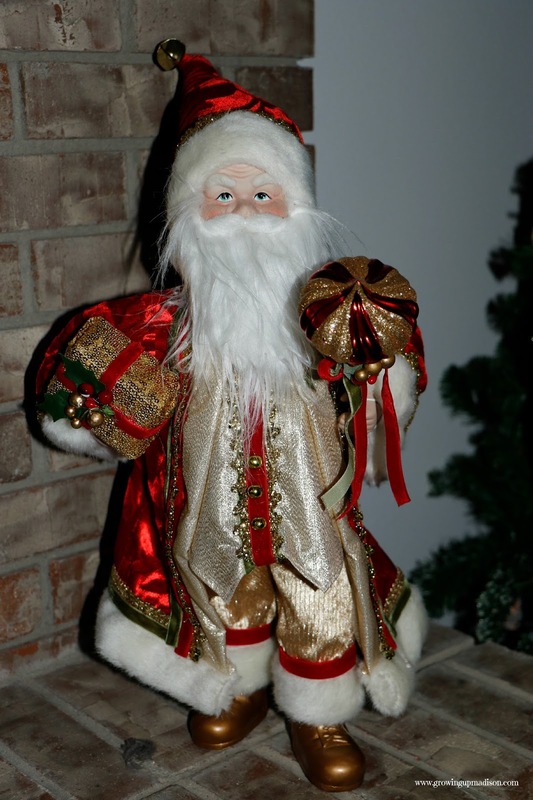 This year one of our favorite store Safeway will helping with the Letter From Santa program. I remember the days when I would write my own letters to Santa letting him know what I wanted. I have never gotten a letter back so can you imagine her surprise when she opens her letter on Christmas from the Jolly Old St. Nick himself? The great thing about all of this is that it is absolutely FREE. I have actually paid to have letters sent to my kids before so I was really intrigued that this was truly free. It was also very easy to use. I just logged on to the website, I filled in the requested information, reviewed my letter to be sure that everything was correct and hit send. 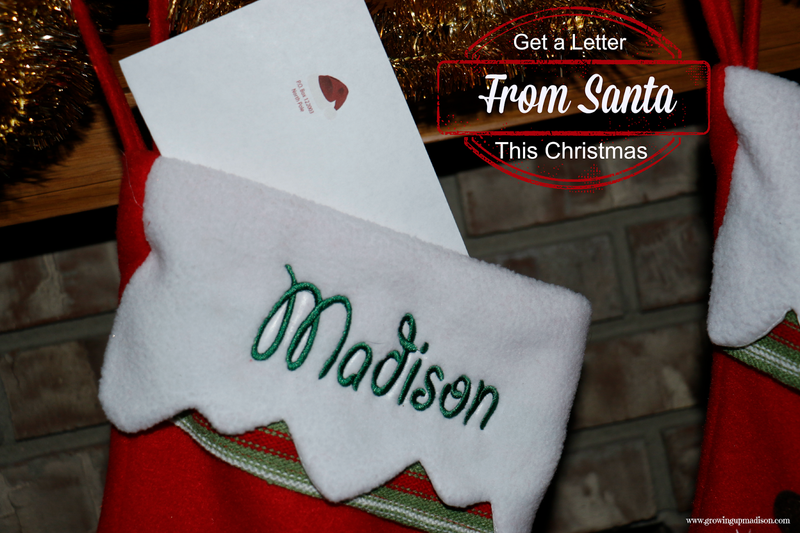 I instantly received a PDF letter from Santa for Madison, it was even signed by Santa himself, via email and it also included the envelope that was ready to print and put into my mailbox. I however decided to put it in her stocking and told her that Santa wrote a very special letter to her. All of this took about 2 minutes. They however didn't forget about us the grownups. No they didn't! Once you've received your letter you'll also receive coupons from Safeway's partners such as Oreo, Coke or Redbox to help save money as you prepare for your holiday celebrations. 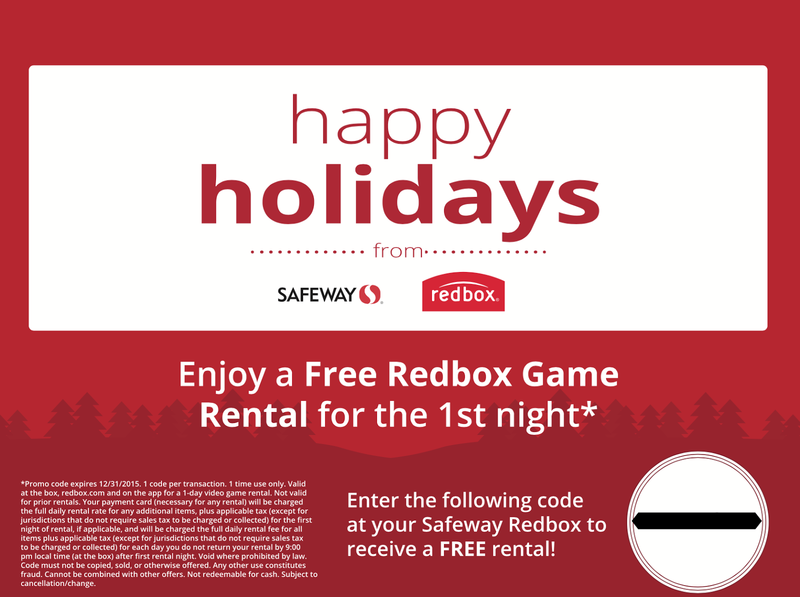 I received a coupon for a free rental from Redbox that I plan on using to watch a movie together for the holidays. So what are you waiting for? 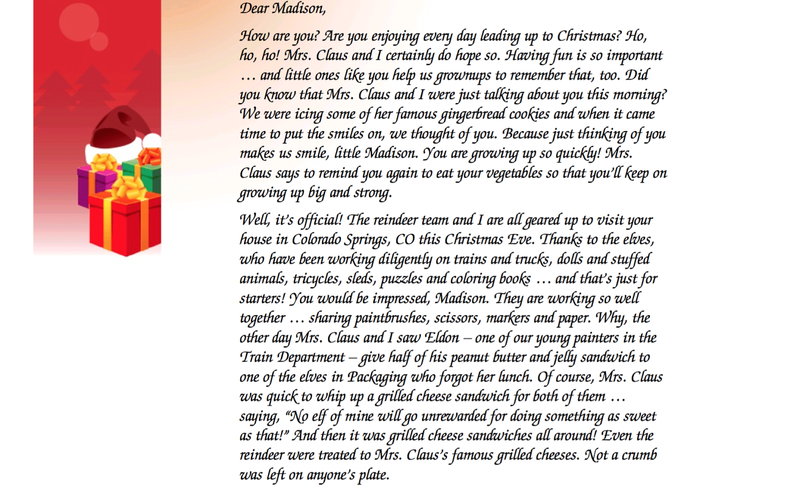 Get your children, or your pet or even yourself, a very special Letter From Santa today. Don't forget it is totally FREE!